So you need your chimney swept or another related service? If you demand a professional service with safety as the main aim, that is reliable, clean, efficient and cost effective then we would be pleased to help. Best Sweep is a fully insured and vetted family business that you can trust. Call us to get the best chimney advice possible. We offer a full range of services including: annual sweeps,chimney and stove repairs repairs, stove fitting as well as problem solving such as rectifying damp issues and downdrafts, severe tar removal, birds nests; a one stop shop for all your needs. New this year is a homebuyers/new owners service where we can save you substantial money on your purchase price. Finally, we would like to secure your business year on year, so you can be assured of absolute best service right from our first contact with you. Voted top chimney sweep in the UK by our customers (Freeindex). We are also reviewed on Google and Facebook. You may be our next customer and reviewer of our service so rest assured new or established customers receive the same high quality service. 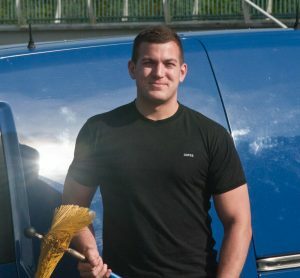 All appliances swept, refurbished, repaired and tested. Expert CCTV safety checking, all chimney repairs and damp problems solved. We even work with some HETAS installers if you need a full stove installation we can assist. We answer all calls, turn up when we say we will and issue sweeping certificates and landlord certificates and are fully insured. Our after sales service is second to none; if there is a problem we will return and sort things out, no question, period. We are fully vetted by the DBS. You can rest assured we have no criminal convictions and are completely trustworthy with your house and occupants. We are pet and child friendly and often have customers leave keys for us to complete their work if they have to be out. We treat your home like we treat our own. We are members of the Guild of Master Chimney Sweeps, providing customers with full support. We are, first and foremost, professional independent chimney sweeps and have been for many years. We sweep all domestic and commercial appliances using traditional and modern methods. A key service we offer to ensure a flue and appliance is safe to use. Homebuyers regularly use this service to ensure a stove or fire is safe to use before completing on the property, sometimes saving thousands of pounds. If you are changing the use of a flue e.g. from gas to solid fuel, you must use this service. Additionally we offer high end pressure testing of flues. Little is more frustrating than persistent damp problems. If yours are chimney related then we are likely to be able to help. We use CCTV kit in conjunction with top end imagery to help diagnose the problems and then offer solutions to cure the problems. We solve over 90% of damp problems first time. We are the only company to measure and manufacture bespoke cowls for crown pots. These have been fitted to many listed buildings as well as normal buildings and are in marine grade stainless steel. All crown pots are slightly different sizes due to the firing process when they were originally made so standard cowls just do not fit correctly. Chief Sweep and Chimney Repair Engineer. Call on the mobile and it will probably be me you speak to. Guild of Master Chimney Sweeps member and Sweep Safe Certified. 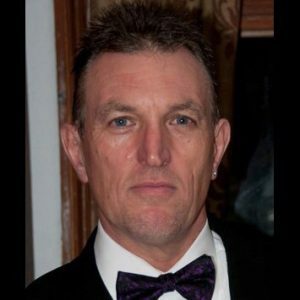 Owner and founder of the Best Sweep Chimney Sweep company. 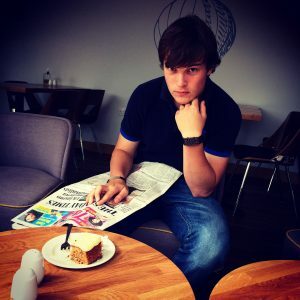 Sweeps assistant and apprentice when home from Plymouth university where he is studying Marine Conservation. You will often find him hoovering and cleaning up. Bruce came to sweep our chimney and quickly realized our woodburner had been incorrectly installed and was a potential fire hazard and could possibly leak lethal carbon monoxide gas. Once the problem was rectified ( by someone he had referred to us, who was also excellent) Bruce came back the same day and did an excellent job. I cannot recommend him highly enough for his timely advice and professionalism. Not only did he avert a possible house fire, but a real threat of carbon monoxide! Thank You, and will certainly use this service again. Brilliant service from Bruce as always. He does an excellent job sweeping the chimney – it really looks clean once cleaned. Seems silly but you can see the difference. A lot of soot was produced but not one spot went on the floor or surroundings. Bruce also gave me good advice on safety, making sure that the carbon dioxide alarm was in the most efficient place. I won’t be changing my chimney sweep, highly recommended. I cannot recommend Bruce more highly; he has swept our chimney for the past 3 years. Not only has this service been exceptional, he has also helped us to source a new wood burner, provided a lot of advice on what to burn and made and installed chimney cowls which he made on site to match our other cowls. You will not regret using Bruce. 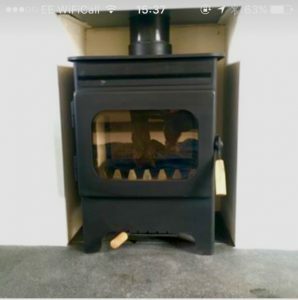 If you are buying or have just moved into a property with an open fire or wood burning stove then this service is a must for you. You need to know if your new appliance is safe, no grey areas. You need to know how to rectify any problems, no grey areas. 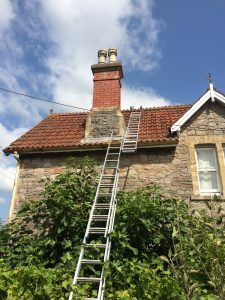 You need a local Bristol Chimney sweep who has the latest camera equipment, the latest pressure testing equipment and the latest sweeping equipment; don’t settle for second best. 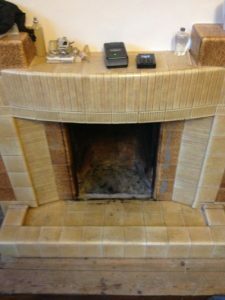 A home survey will rarely examine a fire installation in depth. That fire or stove that looks nice may not be safe to use without spending thousands of pounds. We offer an examination from hearth to the pot, and everything in between. Our basic check includes a sweep, CCTV survey and smoke test plus visual examination and assessment whilst our enhanced service also includes an industry standard pressure test of the flue providing a definitive pass/fail result. Did you know that a poorly installed stove, a chimney stack that needs re-pointing or rebuilding or a flue that needs lining to make it safe could set you back a few thousand pounds? Many dont and then faced with a hefty bill on moving in, just what you dont need. By far the best approach is to contact us as soon as you are negotiating the price so we can inspect the appliance and let you know any defects and the likely costs. You can then negotiate the purchase price or at least go into the purchase with full disclosure and knowledge. Under the Landlord and Tenant Act 1985 it becomes the Landlords responsibility to maintain heating appliances, including the sweeping of stoves, fires and other similar appliances. Responsible landlords employ the services of a professional chimney sweep to ensure any potential problems are identified early to maintain tenant safety. We issue certificates of sweeping to help landlords (and estate agents acting for them) meet their obligations.